Looking to improve safety awareness in your organisation? Need to reach the required legal standards for health and safety training in the workplace? Perhaps you are looking to renew specific courses? At ADL Associates, we believe that safety management starts with people. Ensuring your employees understand their roles and responsibilities for safety, and training them to be competent to do their jobs, helps to increase employee engagement and communication. This in turn produces positive attitudes and behaviours and reduces risks caused by lack of competency. Why Learn with ADL Associates? At ADL Associates, we believe that health and safety training in the workplace should be taught by experienced and competent tutors. In our experience, classroom settings that teach practical skills provide the best opportunities for your employees to learn and to retain knowledge. 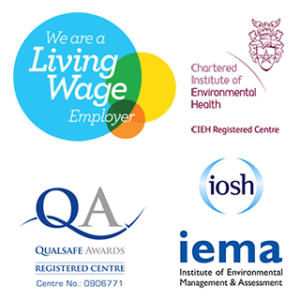 We are a registered training centre, approved to provide CIEH, QualSafe, and IOSH training courses. Course content is of the highest quality, giving you peace of mind that your employees are learning up to date, industry approved skills. All of our courses are hosted in a classroom-based venue and taught by experienced tutor-consultants. This allows candidates to share knowledge and learn practical skills in a safe environment, leading to better retention of knowledge. Upon passing their course, candidates will receive a certificate proving that their training is up to date and they are competent to carry out their duties in the workplace. Examination is via a written exam and observation of practical exercises. How Much Does Health and Safety Training in the Workplace Cost? Below, we’ve listed our current selection of health and safety open course dates and information. This is a half day course aimed at any person allocated fire safety responsibilities. This one day course is aimed at raising employee awareness of health and safety in the workplace. This is a 1 day course aimed at individuals appointed to provide first aid in their workplace. You can find out more information about any of the above courses by calling our office on 01926 623 133 or sending us a message on the contact form below. 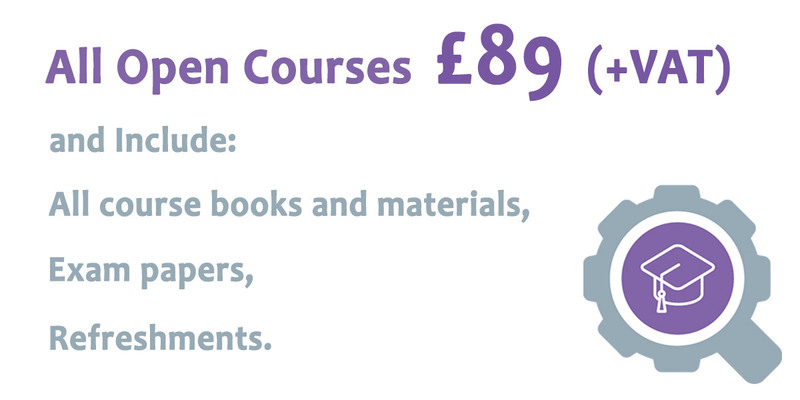 We only hold a limited number of these courses each year. Places are provided on a first come, first served basis. Once they’re gone, they’re gone! If you would like to find out more or book a place we would advise you to contact us as soon as possible to avoid disappointment.